What an amazing day we had at The Art of Marketing in Toronto today. Well over three years ago, I begun telling the story of a famed YouTuber that few (outside of her growing audience) had ever heard of. Her name was Bethany Mota. The LA-based teen was recording haul videos (videos posted to places like YouTube where the host talks about recently purchased products, gives a full demo, pricing and more). Her videos attracted a powerful and young audience, and Mota became a huge celebrity. Now, she commands over 10 million YouTube subscribers (with over 850 million video views), has 5.6 million followers on Instagram, 3 million on Twitter… you get the idea. She has been featured on the cover of Fast Company, she’s been on Dancing With The Stars, had a successful clothing line with Aeropostale and much, much more. Prior to our conversation, I sat down with my good friend, Ron Tite (CEO of content marketing agency, The Tite Group and an awesome speaker) who interviewed me about the current state of marketing, branding and communications. Ron Tite: When it comes to data and tracking metrics, numbers can scare people off. What’s a way for marketers and brands to jump into data analytics without getting lost? Mitch Joel: It’s not necessarily about what data to look at. The most important question to look at is: What data do you need to get the result that you desire? That is the biggest shift in marketing that would could not solve for prior to digital. All we really had from the mass media before was numbers of impressions (if that). If I run this ad “x” amount of times, how many people saw it? Did this move the needle? If I show a video on a landing page or YouTube, and then have a call to action at the end, which one performs better, and what do I want the conversion to be? Is it to have people watch the video? To sign up with email, so that I can connect with them? Is it to buy? It’s about that trail: to know what outcomes you’re looking for, and then run every program against that. We come from a place where we have looked at analytics in the rearview mirror (after it’s all said and done). Because of what’s happened with digital technology, we can now have that data, optimization and more sit in the passenger seat, right there… along for the ride. Brands and marketers alike have to stay agile to keep up with today’s changing brand-consumer relationships. What’s a tip for innovating without losing sight of who they are? It’s about being live in the moments, versus being campaign planning focused. A campaign is, “Christmas is around the corner… plan now.” What’s that going to look like and how do we get organized – several months out for this moment in time? The live opportunity is how to be fluid. An overused example, but one people know well is the “Dunk in the Dark” move by Oreo. 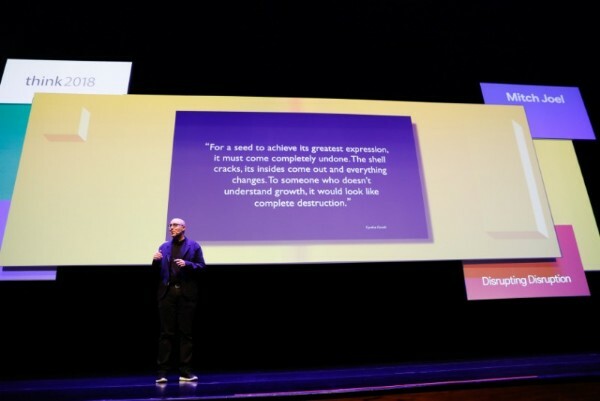 Everyone was like, “This is the tipping point of real-time marketing.” I’m not sure it was that, but the indication is that if you want to be agile, you have to be live in the present. Agility is your speed to market and the fluidity in not being all perfect. It’s using data, faster content creation models and smarter teams to be there… always. Building a loyal community base is very important. But I’m sure there’s always a bit of trepidation in terms of not being able to maintain it. How can we overcome that fear to keep moving forward and upward? I’ve argued for years that I’m not so sure that brands can truly build community. Brands can communicate, and get levels of engagement: someone responds to blog posts or follows you on Snapchat, for example. Real community is tough to do. Very few brands have that type of advocacy and influencer base… that real, genuine community. The ones that have it are more influencer-driven than mass-driven. My recommendation is, don’t try to build community. Build something – pieces of content or whatever it may be – and make them as shareable and findable as possible, with the hooks built into them to have that social impact. With digital marketing, there are so many possibilities for use and creation. Is there such a thing as doing too much? Yes, too much is always too much. Brands think that they need to keep up a frenetic pace of posting on Facebook or Snapchat, for example. For our team at Mirum, we see so many brands creating a mass amount of content that is adding little value to the overall brand experience. What seems to work best is content that has a unique life to it, the pieces that are more evergreen, and then push it out (promote it) more on paid channels. Also, finding newer and more interesting content distribution models are critical (this is about creating content that other publications would be honoured to publish and host). It’s the age-old quality over quantity. Still, you need to have a lot of that quality content to make an impact in such a noisy world. It’s great to get a bunch of clicks or pageviews, but how can we tell when the stories we tell or content we share is effectively engaging and mobilizing audiences? It goes back to your first question. It’s about knowing what that call to action is, measuring it and optimizing against your macro conversion. People think it’s the campaign, the brief, the creative, then let’s go. We live in different times. The content must be created – specifically – for the right space. With that, you need to know how that space best works with different types of content. For more on this, I believe everybody needs to read Avinash Kaushik‘s thinking around See. Think. Do. Care. Opportunities are abound for brands today. Sadly, I still feel like most brands are treating these amazing opportunities in a very traditional way, and with a very traditional media mindset. That’s not how to do the art of marketing. 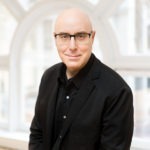 A version of this post originally appeared on my speaking bureau’s website: Speaker’s Spotlight - Mitch Joel Answers Our 5 Questions on Marketing and its Art.